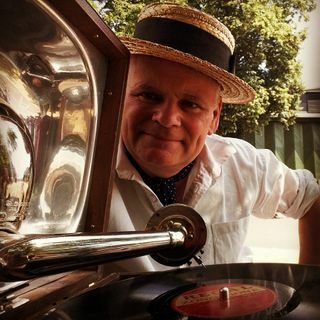 In this episode of Harry & Edna on the Wireless radio show, Edna chats to Harry about his Gramophone Harry persona. So enjoy this podcast with Harry & Edna on the Wireless as they take a look at the current British vintage scene. Harry & Edna on the Wireless is available via FM and Internet radio & Mixcloud internet streaming. The speech only downloadable podcast is ... See More available YouTube & Spreaker.